A great eye care exam starts with understanding the patient. 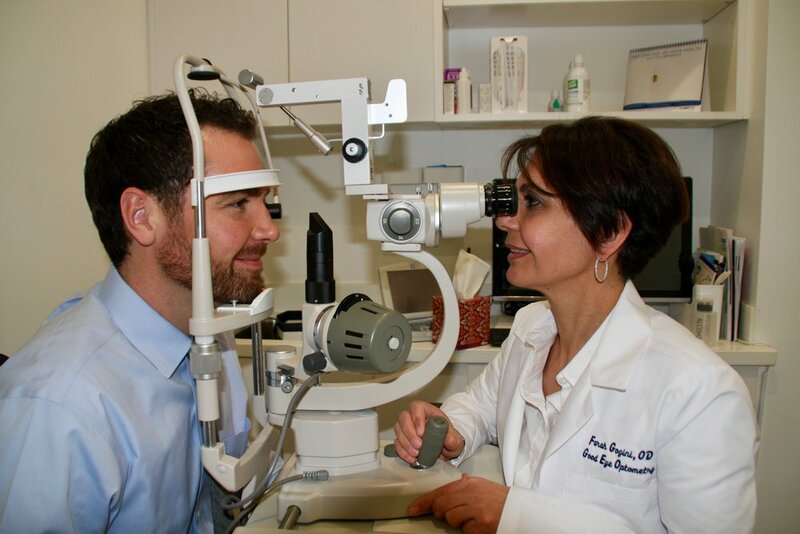 Here, at Good Eye Optometry, we consider everything from the health of the patients’ eyes to the impacts of lifestyle and health in order to better accommodate our patients. If a patient is interested in wearing contact lenses, the lenses must be checked for appropriate and comfortable fit. The doctor will explain the safety and hygienic processes to the patient. In addition, contact lens training is available. Orthokeratology (Ortho-K) is a non-surgical procedure, in which the curvature of the cornea is changed throughout the night. This is done using customized, rigid lenses that are worn while you sleep. During the day, you can forget about the glasses and contacts! Ortho-K helps to correct near-sightedness (including high prescriptions), farsightedness, astigmatism and presbyopia (blurred near vision) and is a great alternative to LASIK surgery.